I've been wearing glasses since I can remember; I actually like it (that's not me above, though :)p ). Especially now that you can find them in such stylish designs and a lot of different colors. Just recently I got a new pair of black-rimmed glasses for which I paid too much if you ask me. Had I known of Warby Parker before hand I might have gotten two pairs instead of one. Thank you Daily Candy for the insight! The great thing about Warby Parker, besides their glasses being only $95, any pair, is that for any pair you buy they donate a pair to someone in need. How great is that?! Buy all you want and you'll be helping someone in need! These are just a few of my favorites. You can pick your favorites (up to 5) and they'll send them your way to try them on, free. A great way of shopping for glasses without leaving your home. 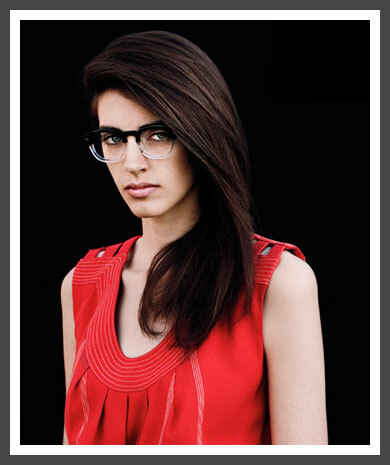 Check out Warby Parker's website for more fabulous designs. So preppy and geeky, but I love them! !